Hi everyone, how are you? I hope you are enjoying the long weekend so far. I only found out recently that Good Friday is not a public holiday in the US unlike Singapore. In the UK, they get Good Friday and Monday off as well. In parts of Europe, apparently Thursday and Friday is a holiday. Whatever the case, I am glad we get a long weekend. Easter is my favorite holiday because I am christian and it holds the most meaning for me. I love celebrating it with meaningful activities with the kids. 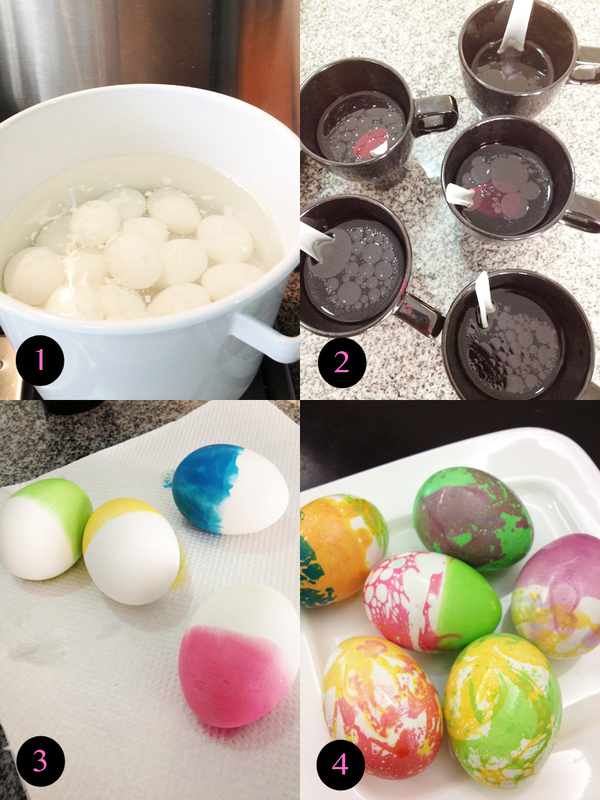 This morning, we dyed easter eggs and baked resurrection rolls. Easter eggs are a simple reminder that Jesus conquered death and brought us new life. 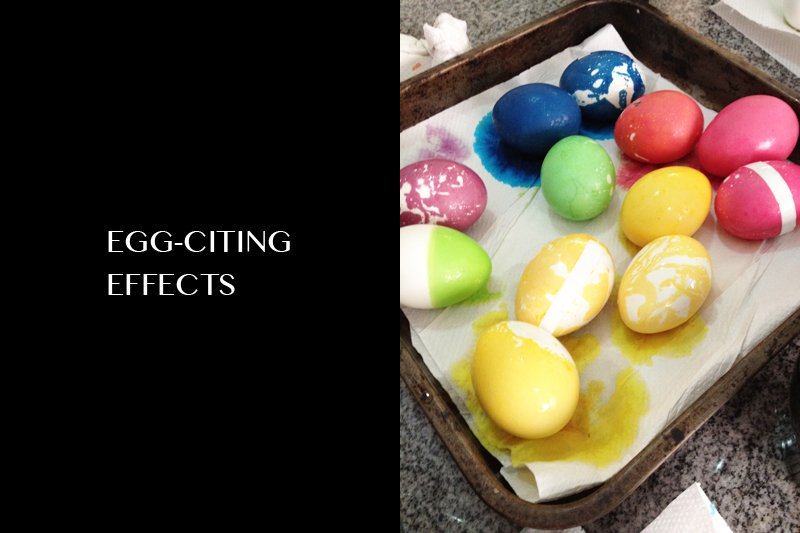 I decided to dye hard-boiled eggs like we did last year. But I tried a little variation. 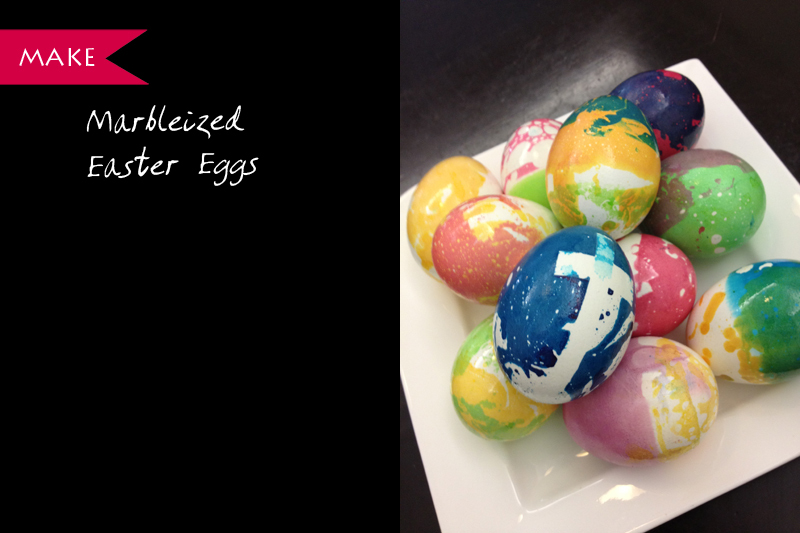 I tried this marbling technique a few years ago and I really love how the eggs turned out. It is really simple. 2. Prepare containers with 1 part food coloring, 1 part oil, 1 part white vinegar. I used 1 tbsp here. I find that a little less oil helps create nicer patterns cos I had a smaller surface area to drop the egg into. The vinegar helps to intensify the colors. The oil creates the marbling effect. 4. Dip the eggs in another color. We also used labels and cut them up and stuck them on the eggs before dipping. We removed them once the eggs were dry. Here are some of the nicer eggs. I left some in a little too long and those didn't have the marbling effect. They ended up solid red or blue which weren't as pretty so I didn't include them here. The kids had fun and I loved coloring them too. My younger son kept stopping to eat the eggs though. He loves eggs but only the egg whites. 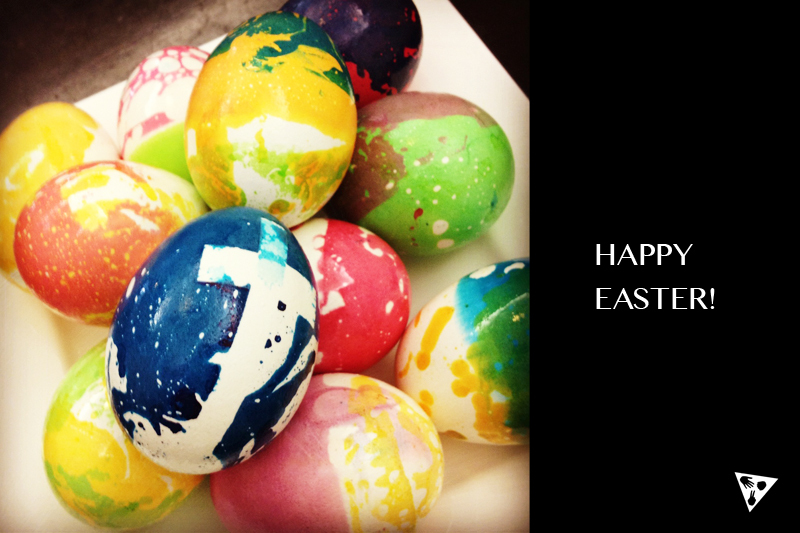 So he had quite a couple today :) Do you colour eggs for Easter?